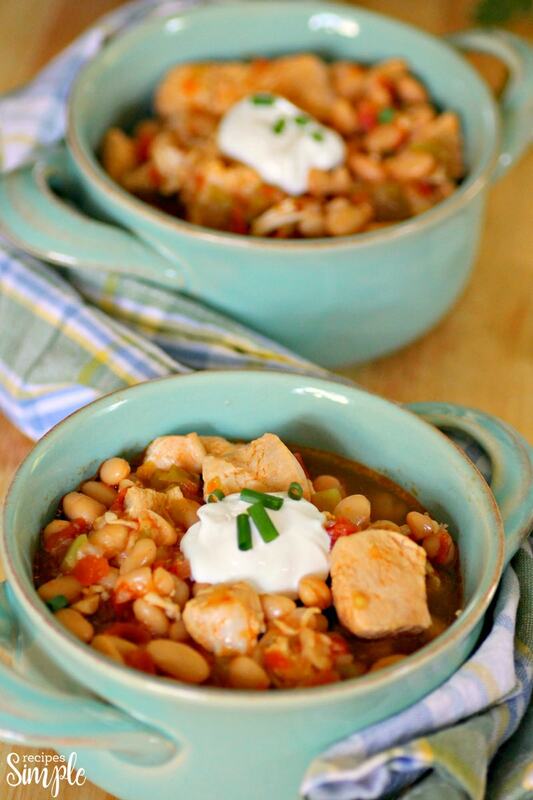 This Instant Pot White Chicken Chili is full of Tex-Mex flavor with chicken and spices, white beans, salsa, chopped green chiles and diced tomatoes. The Instant Pot is a great time saver when you need to get dinner on the table but you don’t have a lot of time to be in the kitchen. 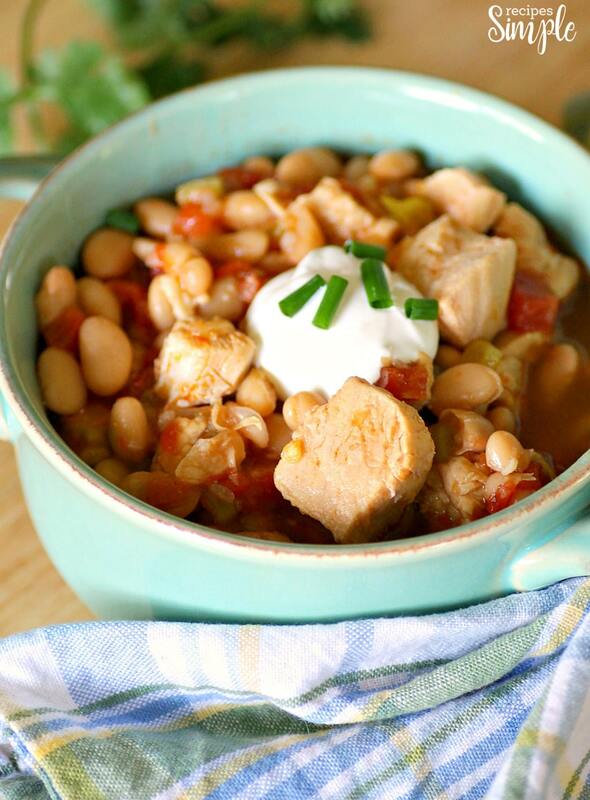 This White Chicken Chili cooks up in the Instant Pot in less than 30 minutes. 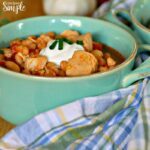 This Instant Pot White Chicken Chili is delicious and proves that dinner does not have to be complicated. This can easily be made with ingredients you usually have on hand. That’s my favorite kind of recipe! 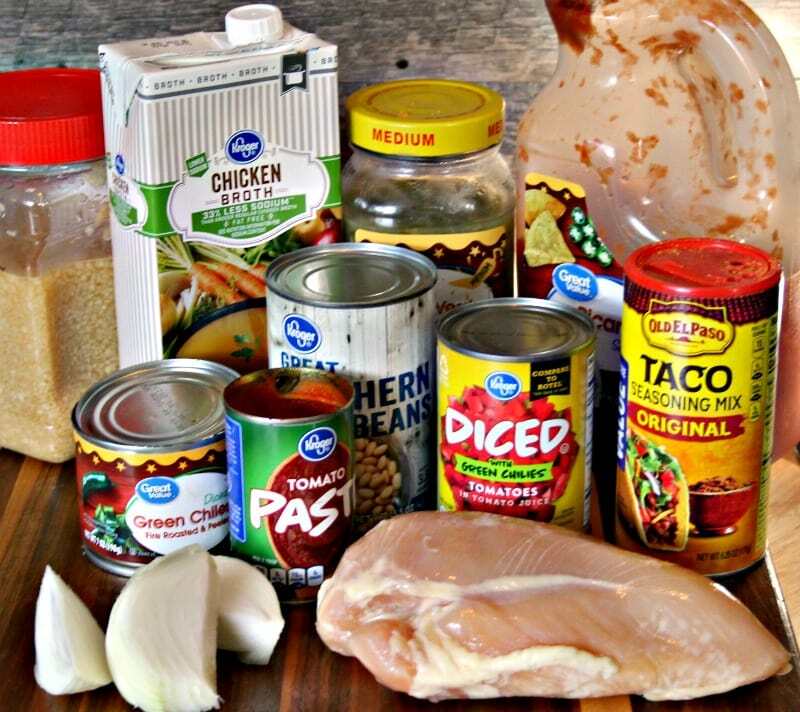 I usually always have the ingredients to make this in my pantry and refrigerator or freezer. 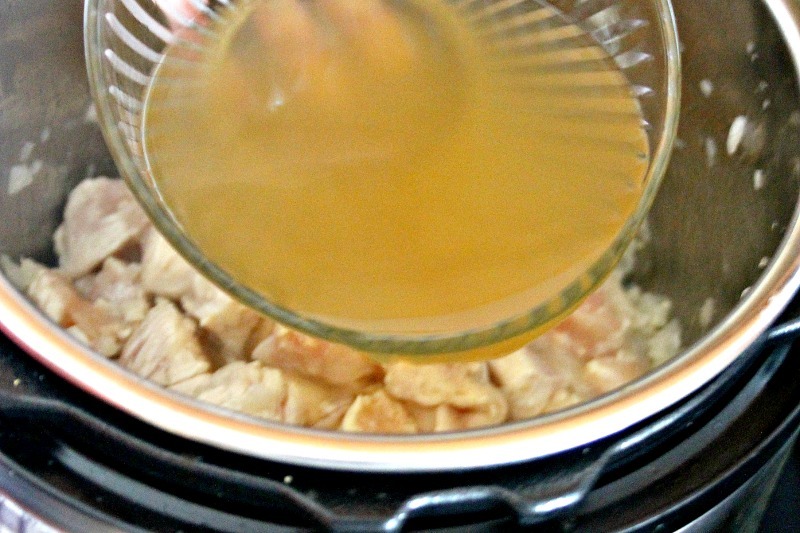 I stock up on frozen chicken breasts when they are on sale to use in my slow cooker and Instant Pot recipes. Add the olive oil and allow to heat up. 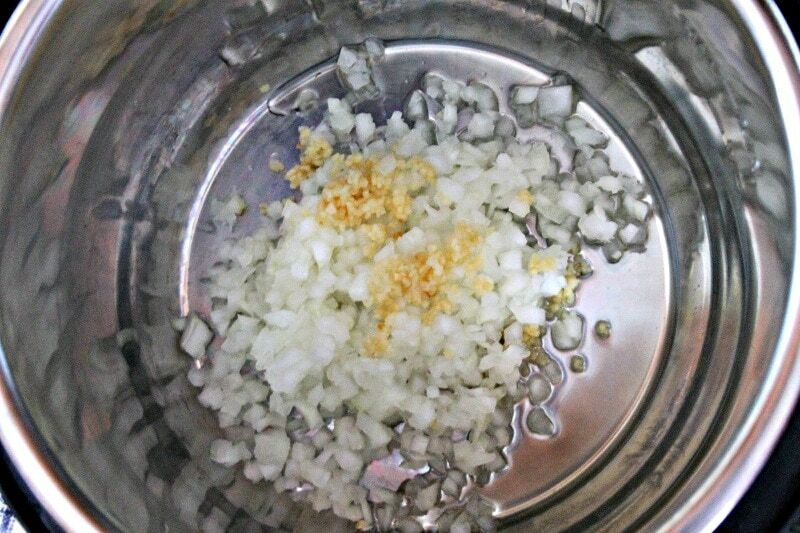 Add onions and garlic and cook 2-3 minutes or until garlic is fragrant and onions are translucent. 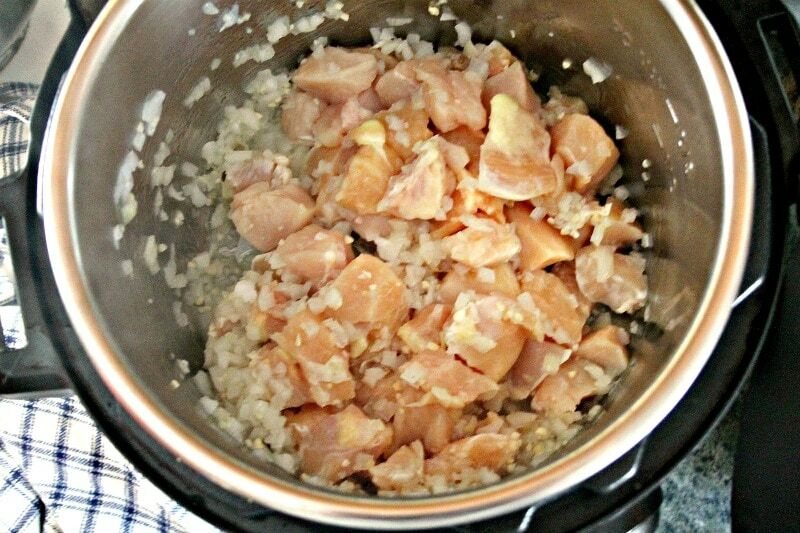 Add chicken and cook until no longer pink. Turn Instant Pot off. Add chicken broth. I like mine more like soup, so I add two cups. If you like it more like chili, only add one cup. 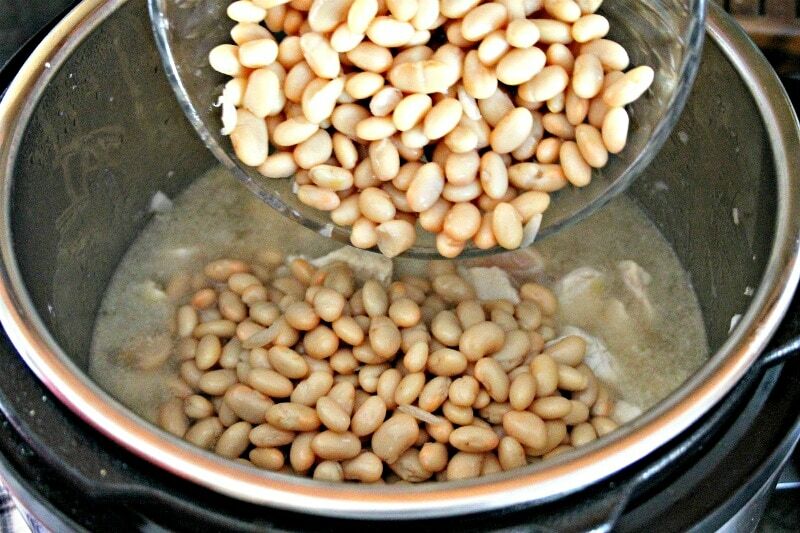 Add beans to Instant Pot. Mix everything together. Close and lock the lid on the Instant Pot and make sure the vent is closed. 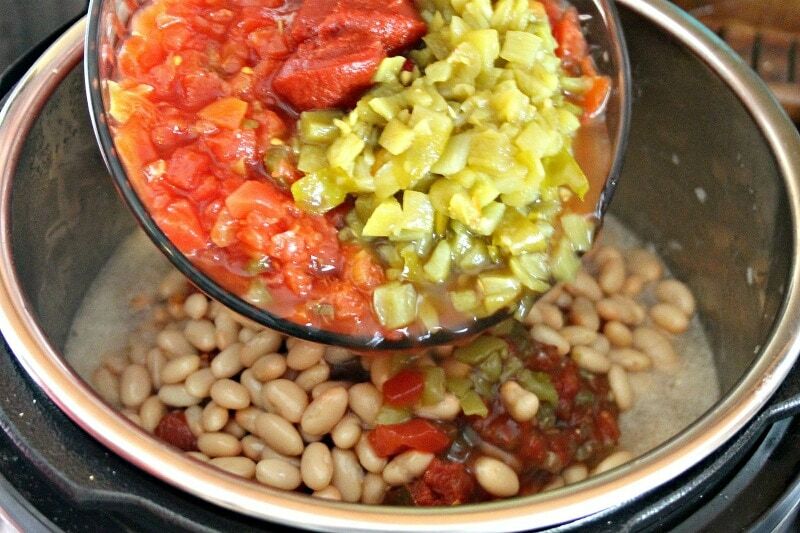 Set Instant Pot to 15 minutes. Once the 15 minutes are up, allow the pressure to release naturally for 10 minutes. Open the vent and release the remaining pressure. This chili is great served without any additional toppings, but sometimes I like to add a little something extra! Some of my favorite toppings to add are shredded cheddar cheese or Pepper Jack cheese, crumbled tortilla chips or corn chips, a dollop of sour cream, green onions, avocado and sliced Jalapenos. 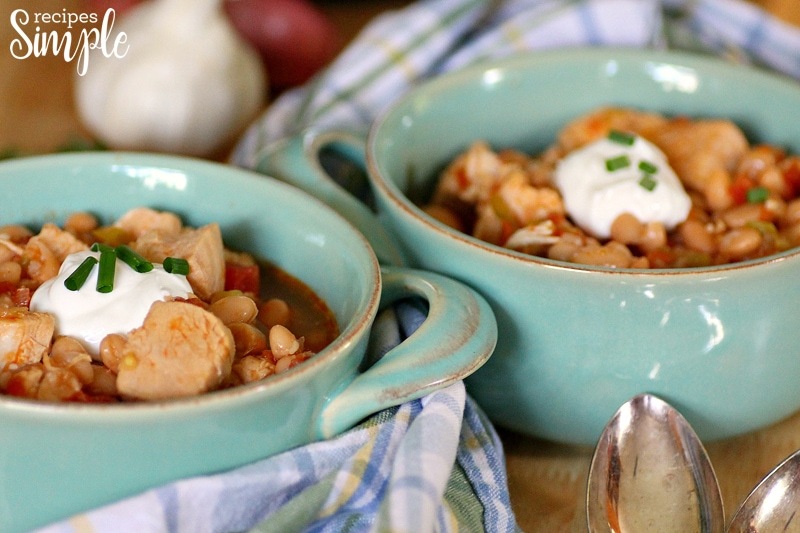 One of my favorite things to serve with this White Chicken Chili is buttered cornbread muffins. So good! My dad would always crumble cornbread into his soups and chili. You could also serve this over a bowl of rice with some crusty bread. Set your Instant Pot to the saute function. Add taco seasoning, red and green salsas, green chilies, tomatoes and tomato paste. Close and lock the lid on the Instant Pot and make sure the vent is closed. 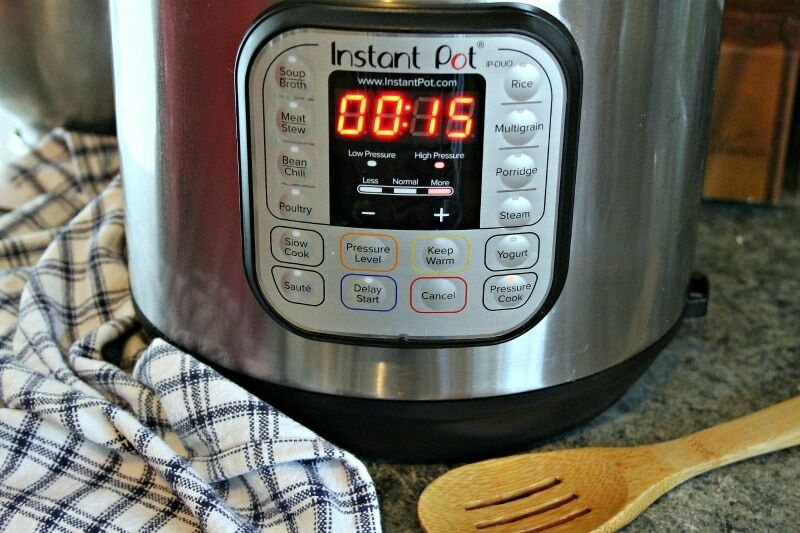 Set Instant Pot to 15 minutes. Once the 15 minutes are up, allow the pressure to release naturally for 10 minutes. Open the vent and release the remaining pressure.